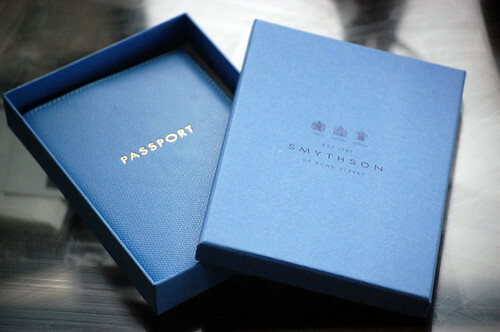 Smythson of Bond Street is one of the UK's most revered luxury leather goods labels. Established in 1887 by Frank Smythson, an entrepreneur and inventor of the brand's signature blue Featherweight paper, Smythson's attention to detail and quality craftsmanship quickly found favor with an elite clientele. Today, the company boasts three Royal warrants and the Prime Minister's wife as Creative Director. It has always been more than a mere stationary shop. It is something of an institution on one of London's most revered retail streets. I have often walked past, peered inside and resisted temptation to venture in to this unfamiliar but fine smelling world (oh I do love the scent of leather). Thankfully, despite my nervous disposition, I am now a proud owner of a Smythson item. This Christmas, my sister and brother-in-law have come up trumps in the gifting trumps. After being spoiled rotten in recent years, with gifts ranging from a Le Creuset pot to Bose headphones, they have excelled in both the fine art of giving and gratuitous art of spoiling. 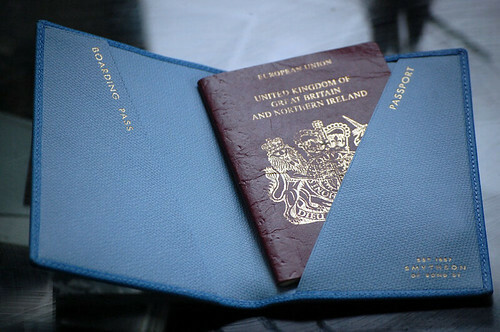 This Passport Holder comes in butter soft Nile Blue calfskin leather. It is something that I'd never buy myself but I am now so pleased that someone has. 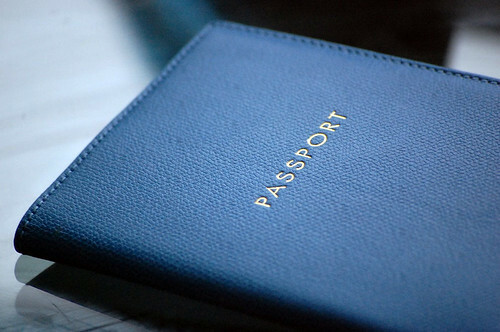 The travel organiser comes with two subtly embossed pockets for a passport and boarding pass. I no longer have an excuse for either losing or fumbling with my travel documents. Despite being hugely comfortable in front of the television with a mind boggling amount of food this festive season, this present makes me long to travel. Here's to a jet setting 2011. Mat: Merry Christmas Mat! Hope you are enjoying a lovely festive break. looking forward to seeing a pic of those gloves. For me, that is the real art of gift giving. Finding that special something that a person would never buy themselves yet would ultimately love to have. Really nice, I love the color ! Unfortunately a tipical boarding card would not fit in the slot designated for this. They should have brought the slip all the way of to the left corner. Now the broding card will awkwardly stick out to the right. Robin N: Me too! The passport can age a little more gracefully now though. Anonymous: Previously, every boarding card I've ever had had been stuffed in either my trouser or jacket pocket so most will find a better home here. I'm sure with a little folding the majority will fit in this ok. I totally understand the whole idea of wouldn't buy it yourself but getting it as a gift is extraordinary. I think that it's too spoiling to buy these sorts of things (others that come in this bracket: new wallets, new gloves, certain bags and most small accessories that are pricey but worthy). 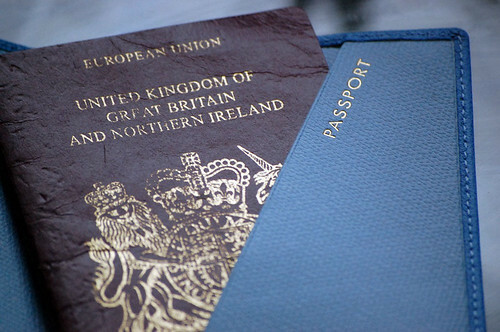 I love how worn out your passport is Steve! You must have had quite a bit of use of it at this point!